Which Ecommerce Site Builder Offers the Best Integrations? Ecommerce sites have changed the way people sell online and you’re likely already familiar with many of the best online store builders. 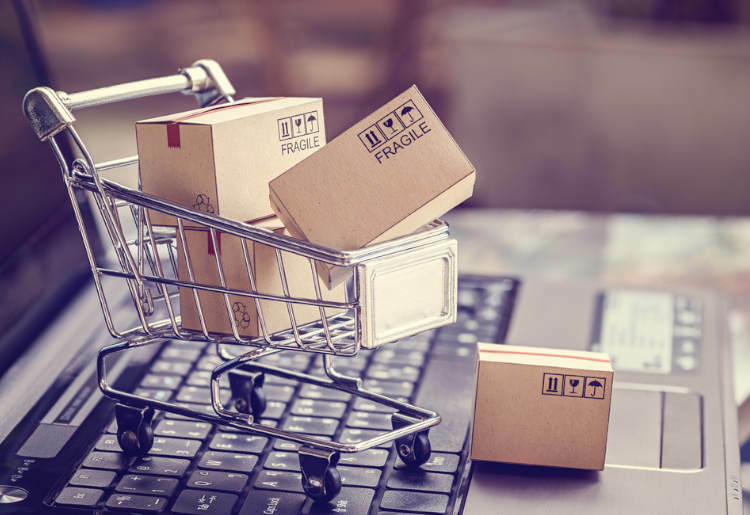 We compare some of the biggest Ecommerce site builders, and take a look at their integration options for the biggest shopping portals, in order to help you choose the right one for your specific needs. While the Ecommerce site builder market has a number of big names competing for business, BigCommerce​ and Volusion​ stand out. They are both reputable brands and have been growing rapidly. They’ve also both recently updated their offerings, themes, and overall user experiences. 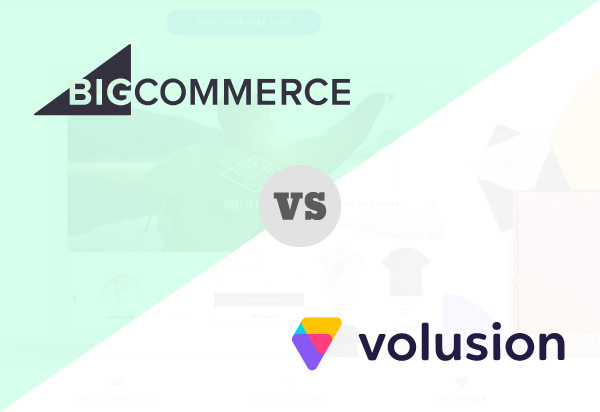 In general, Volusion is easier and cheaper to get started, while BigCommerce provides more value in the long run. BigCommerce’s entry level plan starts at $29.95 a month, which is double Volusion’s starter package of $15. Having said that, BigCommerce’s most basic offering includes unlimited products, file storage, bandwidth, and staff accounts, while Volusion limits you to 100 products and 1GB of bandwidth on its entry-level package. BigCommerce also has sales limits that specify which plan you should use, and it should be noted that with Volusion, you’ll have to buy an SSL certificate for $89 for a year. 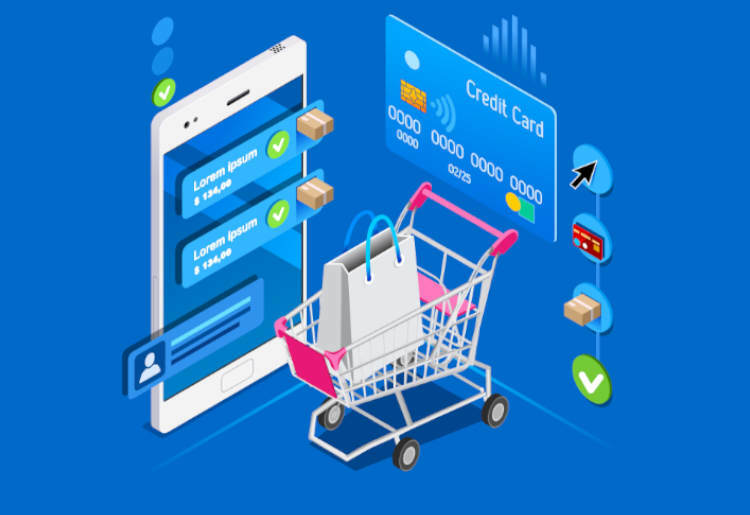 When it comes to support, BigCommerce offers phone support across all of its packages, while Volusion offers online support for its basic product, increasing this to telephone support from its “plus” package. In order to accurately compare features across the two brands, we’ll compare their mid-range, recommended packages. BigCommerce integrates with eBay, Amazon, Google Shopping, Square, and Facebook. It also offers custom buy buttons for integrations with blogs and emails. Volusion integrates with eBay, Amazon, and Google shopping and offers an API that lets third parties work with you and your store. With BigCommerce, you can list your products on Amazon directly from the control panel, with centralized inventory, order processing, and fulfillment. Publishing is straightforward, with bulk listing included and streamlined error handling for increased efficiency. There is also easy integration with Amazon Pay, which simplifies customer journeys and results in increased conversions for Amazon customers. With Volusion, all you have to do is connect your Amazon professional seller account to your Volusion store. You can choose to tie them to listings that are already in the Amazon catalog, or create your own unique listings. When customers purchase products from your Amazon listings, they'll complete their orders on Amazon and you'll see them in your store's orders page. BigCommerce enables you to sell to eBay customers directly from your control panel. Listing products is quick and painless, it can be done from your BigCommerce catalog, and products are automatically updated whenever you make a change. There’s no need for manual updates, as stock syncs between the two platforms. The flow is just like your website’s, which keeps everything simple and easy to manage. For Volusion, you just need to connect your eBay seller account to your Volusion store, and you can then create eBay listings using the products in your store. You can fulfill and ship all your orders – from your store and from eBay – directly from the “Review & Process Orders” page in your admin Area. Google Shopping ads get your products in front of users of the world’s most popular search engine. With BigCommerce, you can be up and running in minutes with your advertising by using your BigCommerce product catalog. Use the integration to drive more qualified leads, and more importantly, only pay when shoppers actually visit your store. There is no need to separately manage a product feed, or to edit any HTML to claim your domain. You can list all your products and product options at once, and ensure that new products are added automatically. You can also edit listings directly in Google Merchant Center, and manage your campaigns in AdWords. For Volusion, you’ll need to manage your Google integration using its API. Integration is a little more complex than with BigCommerce, and will involve submitting XML data and setting up an FTP account. Integrating the platforms starts with having an account on the various stores, be it eBay, Amazon, or Google. 1. Go to “Channel Manager,” then click “Get Started” next to Amazon. 3. Log in to your Amazon account, then accept the Amazon MWS license and authorize your Volusion store to use your Amazon seller account. 4. When you're done, click “Continue” to go back to Volusion. 1. Go to “Channel Manager,” and select eBay. To list your products on eBay, you’ll need to change your eBay account preferences to allow access from your Volusion store. 2. Read eBay's terms and click “I Agree.” You’ll be automatically redirected back to your Volusion admin area. Once your store has been granted access to your eBay seller account, you can begin creating product listings. 1. Connect to your merchant center account or create a new one right in the app. 2. Verify and claim your website URL. 3. Your products will begin syncing immediately. 4. BigCommerce will build your feed for you, and return any errors/issues in the reporting. 2. Select the “Volusion API” tab. 4. Enter the FTP username, password, and file name. Both BigCommerce and Volusion have been purpose-built, making creating new listings intuitive. 1. Go to “Products” and then “View” and click “Storefront › Create Listing” next to the product you want to list on Amazon. 2. On the product listings details page, select “Amazon” under channels. 3. By default, your new Amazon product listing will use the same name, description, brand, and price details your product has in your BigCommerce store. 1. Choose a product from your inventory, and connect it to an existing Amazon listing.Or, if your product doesn't already exist within Amazon, you can create your own unique listing. 2. Click “Add” to create a new listing, and select a product from your inventory. 1. Click “Select Product” and enter a listing title and quantity. 2. Complete the details (shipping, additional descriptions, etc.). Keep an eye on sales or special offers, and remember to set both start and end dates. There is nothing more frustrating than giving away margin on something that will sell by itself. Know your inventory levels, and keep your system updated. Running out of inventory can result in lost customers and bad reviews. It’s generally recommended to use one site builder store per account. Some platforms do not send automatic order confirmation emails, so make sure this is set up on your system. In order to harness the opportunities presented, you need the right setup. This means choosing the best Ecommerce site builder for your needs. Which is best? It depends. For businesses just starting out, Volusion offers an inexpensive starter package and quick integrations. For more established businesses, BigCommerce offers scaling, security, and more integration options. The choice is yours! The Top10 Ecommerce Builders staff is comprised of professionals with a vast knowledge across the world of website services. Members of our international team have extensive first-hand online experience in the following: building and maintaining websites for small businesses; utilizing advanced SEO tools and strategies; developing Wordpress sites; tracking industry trends using advanced analytics tools; copywriting and editing for various online publications.